Stores reference 15A/191. Parachute Back Pad, Irvin MK.1. 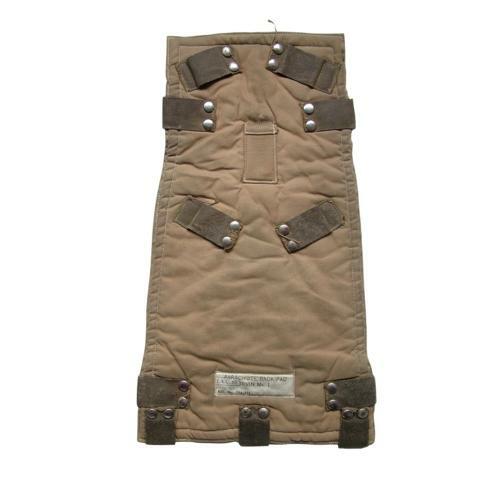 Khaki duck cotton backpad with webbing straps to secure the harness. This type is intended for seat type assemblies but will also fit Observer type harnesses. Shows some wear and use but is in very good overall condition. Essentially the same as wartime pads but is dated 14 Setpember 1960. Stock code M22532.